Detailed on The Official Netflix Blog earlier today, the streaming video company officially announced a new feature called “post-play” that’s designed to automatically start the next episode of a television show without requiring any user interaction. Currently active on the Web player as well as the Netflix application for the PlayStation 3, this is particularly helpful for television shows with large story arcs that spread over an entire season or multiple seasons. 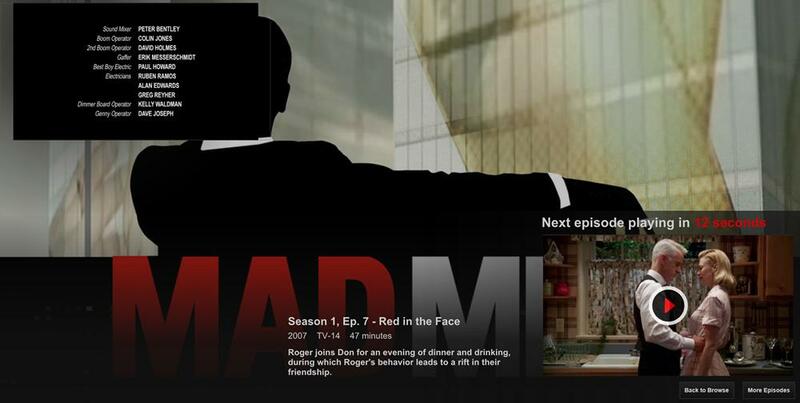 Viewers watching shows like 24, Lost, Mad Men, Prison Break, Breaking Bad or White Collar can simply wait for the next episode to begin as the credits roll on the previous episode. This new feature basically capitalizes on the recent trend of watching multiple episodes of a television program in a row rather than being forced to wait for each episode to be released during a season of network television. 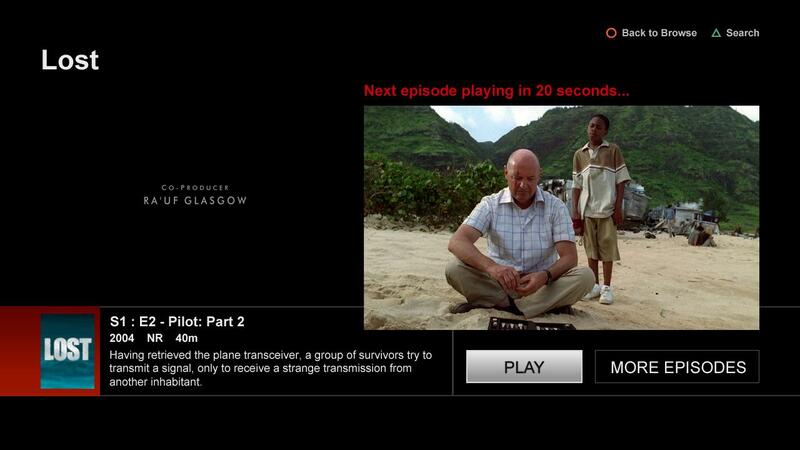 As a television episode ends, the Netflix post-play feature will bring up a screenshot of the next episode and a 15-second countdown timer. Once the timer completes the countdown, the next episode automatically begins. Users can also stop the timer in order to read the synopsis about the episode, select a different episode or back out to the main Netflix menu to select a different show or movie. Specific to movies, the post-play feature offers suggestions about other movies and shows to watch once the credits roll on the first movie. According to Netflix representatives, the development team behind “post-play” is working to bring the feature to other platforms including the Xbox 360, Roku set-top box and Apple TV set-top box. The feature has been active on the PlayStation 3 for at least a couple weeks, but recently launched for all users watching streaming Netflix on a device like a desktop computer, laptop or tablet. In addition to automating the selection of episodes, the post-play feature is also helpful for a quick dash to the fridge to grab a snack or drink as the opening sequence on the next episode starts to roll.